Claude W. Gifford, 11 a.m., Geo. M. Wittich-Lewis Home for Funeral and Cremation Services, Muscatine. DAVENPORT - Robert “Bob” Gus Dietz, 92, of the Davenport Lutheran Home, left us on Wednesday, February 20, 2019, to be with his beloved Sadie. Graveside services will be held at noon Tuesday, February 26, 2019, at National Cemetery, Rock Island Arsenal. Visitation will be held from 10 a.m. to 11:30 a.m. at McGinnis-Chambers Funeral Home in Bettendorf. Bob was born May 29, 1926 in Walcott, Iowa, the son of Phillip and Frances (Broders) Dietz. During World War II, he was stationed in France and Germany. He enjoyed his Army life, serving as an MP and fuel truck driver through Germany. On May 26, 1944, he was united in marriage to Sadie Myrtle Burroughs in Muscatine, Iowa. She preceded him in death on September 14, 2010. Bob retired from the United States Post Office in 1981. He served with the post offices of Detroit, Clinton, Iowa, and Davenport. Being always the provider, he had several jobs after retirement, before settling into Bob Ironman Metal Recycling. He had traveled throughout the area collecting scrap metal, delivering to salvage yards and making life-long friends along the way. He also loved the casinos and flipping quarters with his son and grandkids. He was fondly loved by the staff and residents of the Davenport Lutheran Home and especially loved playing Santa at the annual Christmas dinners. He was baptized while at the Lutheran Home and talked candidly about his relationship with the Lord. Those left to honor Bob's memory include his sons, Robert (Connie) Dietz of Orion, Illinois, and Fred (Cathy) Dietz of Davenport; and his sister, Faye (Lou) Brammeier. In addition to his wife, Sadie, Bob was preceded in death by his parents; and his brothers, Darrel and Conrad. Online condolences may be expressed to the family by visiting Bob's obituary at www.McGinnis-Chambers.com. Mary Ann Brown, 10:30 a.m., First Baptist Church, Muscatine. MUSCATINE — Clark D. Crouse, 91, of Muscatine passed away on Friday, January 25, 2019, at Lutheran Living Senior Campus. A Celebration of Life service will be held at 11 a.m. on Monday, February 25, 2019, at the Wesley United Methodist Church. Private burial took place in Greenwood Cemetery. There will be no visitation and the Ralph J. Wittich-Riley-Freers Funeral Home is in charge of the arrangements. Memorials may be made to Wesley United Methodist Church or the American Diabetes Association for camp scholarships. Online condolences: www.wittichfuneralhome.com. Everett T. Bates, 11 a.m., Cunnick-Collins Mortuary, Davenport. Jo Seaman Drechsler, 11 a.m., St. Paul Lutheran Church, Davenport. Iris W. Givens, 11 a.m., Van Hoe Funeral Home Ltd, East Moline. Ralph E. Hall Jr., 2 p.m., Runge Mortuary Chapel, Davenport. Odeena J. Horvath, 10 a.m., The Kahl Home for the Aged, Davenport. Michael C. Milkovich, 5:30 p.m., Halligan McCabe DeVries Funeral Home, Davenport. William James Rands, 10:30 a.m., McGinnis-Chambers Funeral Home, Bettendorf. Joyce A. Schiffke, noon, Runge Mortuary, Davenport. Benjamin Eldress Shinn, 11 a.m., Halligan McCabe DeVries Funeral Home, Davenport. Donna M. Wulff, 10:30 a.m., St. John's United Church of Christ, Clarence, Iowa. Dennis F. Anderson, noon, Halligan-McCabe-DeVries Funeral Home, Davenport. Robert C. Fields, 11 a.m., Fry Funeral Home, Tipton, Iowa. James L. Mitchell, 11 a.m, Harvest Time Family Worship Center, Davenport. Carma Jane Schwarz, 10 a.m., St. Paul Lutheran Church, Davenport. Judy Tumbleson, 11 a.m., St. Pius Catholic Church. John W. Hobbs, 51, formerly of West Liberty, died Saturday, February 16, 2019, at his home. Arrangements: Henderson-Barker Funeral Home, West Liberty. Velma J. Stineman, 73 of New Boston, Illinois, died Tuesday, February 19, 2019, at home. Arrangements: Fippinger Funeral Home, Aledo, Illinois. BLUE GRASS — Darwin P. Riessen, 81, of Blue Grass passed away Tuesday, February 19, 2019, at his home after a long battle with brain cancer. Darwin was born in Davenport on August 14, 1937, the son of Paul and Vera L. (Otto) Riessen. He graduated from Durant High School in 1955. Darwin married Phyllis A. Mordhorst on September 1, 1956, in Davenport. He proudly served his country in the United States Army. Darwin farmed his entire life in Muscatine County on the family farm. He was a member of Blue Grass Presbyterian Church, Muscatine County Farm Bureau, a former member of the Muscatine County Pork Producers and past president of the Muscatine County Beef Association. He was an avid horseman and longtime member of the Quarter Horse Association. He enjoyed playing cards and bowling. He and Phyllis enjoyed dancing, especially square dancing and waltzing. Visitation will be held 4-7 p.m. on Friday, February 22, 2019, at the Blue Grass Presbyterian Church in Blue Grass. Funeral services will be held at 1 p.m. on Saturday, February 23, 2019, at the church. Interment will be at the Durant Cemetery, with military honors by the Blue Grass American Legion. Darwin is survived by his wife, Phyllis of Blue Grass and their children, Paul (Jannell) Riessen of Tipton, Darrell Riessen of Portland, Oregon, Denise (Mark) Forney of Camanche, and Darla Spencer of Blue Grass; seven grandchildren; 10 great-grandchildren; sisters, Marilyn Reimers of Durant, Deanna (Keith) Petersen of Durant, Delores Frey of Huxley, Iowa, and Beverly (William) Hart of Alabama; and brother Vernon (Jean) Riessen of Durant. He was preceded in death by his parents and sister, Bonita Riessen. Memorials donations may be made to the Blue Grass Presbyterian Church. MUSCATINE — Neil “Kenny” Greenwald, Jr., 63, of Muscatine passed away Monday, February 18, 2019. Funeral services will be 10:30 a.m. Monday, February 25, 2019, at the Geo. M. Wittich-Lewis Home for Funeral and Cremation Services. Burial will be in Muscatine Memorial Park Cemetery. Following burial, a time of food and fellowship will be held in the Geo. M. Wittich-Lewis Community Room. Visitation will be held on Sunday, February 24, 2019, from 2-5 p.m. at the funeral home. Memorials may be directed to Muscatine USBC (Bowling) Youth Program in memory of Kenny. Online condolences may be left for the family at www.lewisfuneralhomes.com. Neil “Kenny” Greenwald Jr. was born on July 9, 1955, in Muscatine, Iowa, the son of Neil Kenneth Sr. and Dorothea (Schmalz) Greenwald. Kenny was a 1973 graduate of Muscatine High School and obtained his associate's degree from Muscatine Community College. Kenny retired from the Muscatine Community School District where he served as a bus driver for over 30 years. He also worked for the City of Muscatine driving the MuscaBus. Kenny was inducted into the 2018 Bowlers Hall of Fame in Muscatine; he holds the record for top series bowled in Muscatine (878), and had held the state of Iowa record at one time. He is also known for shooting 11 perfect 300 games and six 800 series. He was a member of the YMCA and prior member of the Moose Lodge. Kenny loved to follow all Muskies sports and was an avid St. Louis Cardinals fan. Kenny will be deeply missed by his siblings, Tony Greenwald, Charles (Carla) Greenwald, Alice Ganzley and Diana Struck, all of Muscatine; 11 nieces and nephews; and several great-nieces and nephews. Kenny was preceded in death by his parents and one sister, Nancy Rudolph. 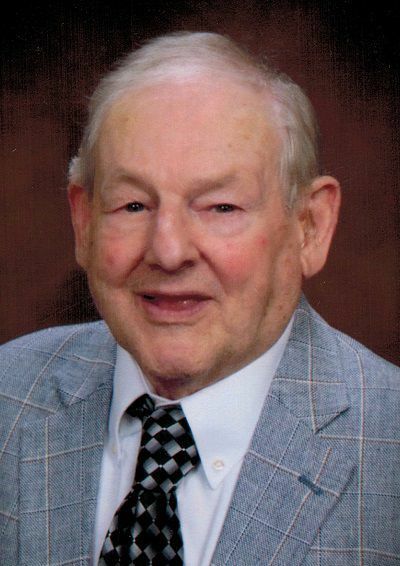 MUSCATINE — Claude W. Gifford of Muscatine died at his home on Sunday, February 17, 2019. Funeral services for Claude will be held at 11 a.m. on Saturday, February 23, 2019, at Geo. M. Wittich-Lewis Home for Funeral and Cremation Services. Visitation will begin at 10 a.m. Pastor Paul Brooks will officiate the service. Lunch will be served immediately after the service, followed by burial in the Buffalo Prairie Cemetery. Pallbearers will be Thomas A. Watson, Mitchell Watson, Mark Clark, Chuck Brudtkuhl, Mark Frantz, and Randall Eichelberger. Memorials are preferred to Buffalo Prairie Cemetery. Online condolences may be left for the Gifford family at www.lewisfuneralhomes.com. Claude William Gifford was born at home in Drury Township, Rock Island County, Illinois, on April 13, 1919. He was the son of Harvey and Minnie Droll Gifford. He served in the U.S. Army Air Corps as a flight instructor during World War II. Claude was a graduate of Muscatine High School (1937), Muscatine Junior College (1939), and Iowa State University (1946). Claude was married to Helen F. Woolsey in Waterloo, Iowa, on November 30, 1947. Claude was associate editor of Farm Journal magazine for 23 years. He was active in professional organizations and received the 2008 lifetime achievement award from the American Agricultural Economics Association. He also held various executive positions for 23 years at the U. S. Department of Agriculture, primarily as Director of Information and Assistant Secretary. He was a member of the USDA team that negotiated the 1972 sale of wheat to the Soviet Union; that sale was the first opening of the Iron Curtain after World War II. Claude was preceded in death by his parents, four siblings, his beloved wife, Helen, in 2007, and his dear friend, Roberta Eichelberger, in 2018. His immediate survivor is his son, Steven G. Gifford, of Annandale, Virginia. Other family members in the Muscatine and Illinois City areas include his niece, Shirley (Ralph) Hoag; great-nieces, Mary Watson and Janet (Mark) Clark; great-nephew, Thomas A. (Katie) Watson; and great-great-nieces and nephews, Kari and Marci Clark and Mitchell, Logan, and Ciara Watson. Steven W. Jensen, 76, died Thursday, February 14, 2019 at Lantern Park Specialty Care Center, Coralville. Arrangements: Henderson-Barker Funeral Home, West Branch. Shirley A. Ryan, 89, of Muscatine, died Sunday, February 17, 2019 at Lutheran Living. Arrangements: Geo. M. Wittich-Lewis Home for Funeral and Cremation Services, Muscatine. MUSCATINE — Mary Ann Brown, 78, of Muscatine, passed away on Saturday, February 16, 2019, at Unity Point Health Trinity Rock Island. A funeral service will be held at 10:30 a.m. on Friday, February 22, 2019, at First Baptist Church. Pastor Matthea Haecker and Chris Marshall will officiate. Burial will take place in Memorial Park Cemetery. Pallbearers will be Harry Martin, Brian Holtz, Ralph Jeambey, Gary Shingledecker, Bill Umlandt, Luke Fitchner, and Jeff McKay. A time of food and fellowship will be at First Baptist Church following the committal. Visitation will be from 5 until 7 p.m. on Thursday, February 21, 2019, at the Ralph J. Wittich-Riley-Freers Funeral Home. Memorials may be made to the family, in care of, Teresa. Online condolences: www.wittichfuneralhome.com. Mary Ann was born on March 28, 1940, in Muscatine, the daughter Otto H. and Wilma M. Sell Fitchner. She married David E. Brown on October 29, 1966. She worked several years for Clerk of Courts office and was a homemaker. Mary Ann enjoyed sewing, gardening, crafts, music, and reading on her computer. Those left to honor her memory include her husband, David, of Muscatine; her daughter, Teresa Brown, of Muscatine; one brother, Paul O. Fitchner, and wife, Ruth, of New Boston, Illinois; one sister, Dorothy J. Fitchner, of Muscatine; two nephews, Craig Fitchner, and wife, Diane, and Clark Fitchner, and wife, Vickie; and many great-nieces and nephews. Mary Ann was preceded in death by her parents. Mary Ann Brown, 78, of Muscatine died Saturday, Feb. 16, 2019, at UnityPoint Health-Trinity Rock Island. Arrangements: Ralph J. Wittich-Riley-Freers Funeral Home, Muscatine. Shirley Ann Heitmeier, 85, of Morning Sun, Iowa, died Sunday, Feb. 17, 2019, at Great River Medical Center in West Burlington, Iowa. Arrangements: Hagele and Honts Funeral Home, Morning Sun. MUSCATINE - Howard “H” Ernie Peniston Sr., 68, of Muscatine passed away Tuesday, February 12, 2019, at the University of Iowa Hospitals and Clinics. Funeral services will be Friday, February 22, 2019, at 11 a.m. at the Geo. M. Wittich-Lewis Home for Funeral and Cremation Services. Interment will be in Muscatine Memorial Park Cemetery with military rites by the combined units of the VFW Post 1565 and the American Legion Post #27. Following the interment, a time of food and fellowship will be held at the Geo. M. Wittich-Lewis Community Room. Visitation for Howard will be held on Friday, February 22, 2019, from 10-11 a.m. at the funeral home. A memorial fund has been established at the funeral home in Howard's name. Online condolences may be left at www.lewisfuneralhomes.com. Howard Ernie Peniston Sr. was born on October 9, 1950, in Muscatine, Iowa, the son of Robert LeRoy Sr. and Dorothy Mae (Sanders) Peniston. Howard was a 1968 graduate of Muscatine High School. He proudly served in the United States Army during the Vietnam War obtaining the rank of sergeant. Howard was one of the few that qualified for West Point, but chose to go to Vietnam instead. Howard enjoyed going to the casinos, playing cards, BidWiz and dominoes, was a marksman shooter, watching sports and was an avid Denver Broncos fan. Howard will be deeply missed by his son, Howard (Donna) Ernie Peniston Jr. of Vidor, Texas; grandchildren, Ebony Johnson, Shantel and Shyla Johnson, Keenan Peniston, Bridgett Peniston, Allona Peniston, Tahara Peniston and Jovan Rule; siblings, Regina Peniston of Muscatine, JoAnn Peniston-Winters of Moline, Robert (Virginia) Peniston Jr. of Muscatine, John (Tracy) Peniston Sr. and Debra (Joe) Lasseter of Muscatine; and many nieces and nephews. He was preceded in death by his parents and one grandson, Anthony Novy. MUSCATINE, Iowa – Linda R. Doty, 71, of Muscatine Towers, Muscatine, passed away on Wednesday, February 13, 2019, at the Clarissa Cook Hospice House. Linda was born on August 16, 1947, in Ottumwa, the daughter of Richard and Beulah B. Bergen Varner. She retired having worked at Lang's Jewelry and Vision Center at Walmart. Those left to honor her memory include her son, Christopher Doty and wife, Darla, of Stanwood; two daughters, Lori Zaehringer and Sarah Olswold and husband, Eric, all of Muscatine; nine grandchildren; one great-grandchild; and one brother, Robert "Bob" Varner and wife, Nancy, of Montpelier.